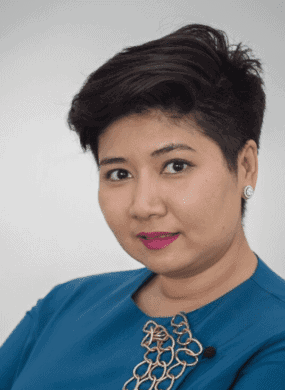 Yu Wai Maung is an ASEAN CSR Network Fellow currently working as the Head of CSR Department at KBZ Bank. She is in charge of stakeholder engagement, reputation management, organizational communication, impact investment and corporate donations. Yu Wai represents KBZ Bank as a founding member of Myanmar Private Sector Network for Disaster Management Network and Business Coalition for Gender Equality. Aside from her full-time job, she is a motivational speaker. Yu Wai holds a Post-Graduate Degree in Non-Profit Management from the New School University and a Bachelor’s Degree in Women and Gender Studies from City University of New York.